Profile: CODE is one of the largest research institute in Germany with 11 new chair positions in the area of Cybersecurity and Smart data. With the ministerial decision in 2017 for the establishment of the new research institution ”Research Institute CODE, a Research Center for Cyber Defence and Smart Data of the Bundeswehr and the Federal Government” at the Bundeswehr University Munich, the Federal Ministry of Defence pursues the goal to investigate innovative, technical innovations and concepts for the protection of data, software and systems. This independent research is conducted on an international level in a modern equipped environment and in compliance with legal and administrative aspects. CODE is addressing challenges of cybersecurity under different research topics, spanning from network security, smart data, connected car and connected plane, e-health and critical infrastructures. With a very large and modern lab infrastructure, currently about 100 employees growing to 200, and substantial basic funding from the Ministry of Defence, CODE is developing into the only center for cybersecurity of its kind in Germany. CODE has a number of cooperations with institutes and companies in the European Union. It provides R&D in the field of cyber security and offers services, research solutions and prototypes for German ministries and security agencies, as well as for CODE’s partners. CODE is also the nucleus of the Cyber Security Cluster that includes a large cooperation with industry and public sector. Beside excellent research, a mission of CODE resp. the cybercluster is innovation and deployment of IT products and solutions along the whole supply chain. The cluster supports also startups that are founded by from the cluster. CODE has a numerous national and international projects with several millions funding. To address the demands for high skilled personnel, CODE and the Bundeswehr University Munich has established a new Master’s Degree program in Cyber Security. Events such as a Capture-the-Flag, Red/Blue- Teaming or developing our own Cyber Range support the education and training. CODE has a strategic cooperation with several institutions such as NATO CCDCOE. A MoU with ENISA will be officially signed this year in Brussels. CODE has a substantial number of MoUs and cooperation agreements with industry, universities, and public sector. A joint PhD program exists with University of Twente. 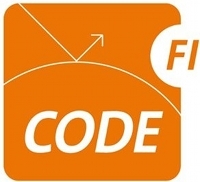 CODE leads a numerous number of projects from the area of eHealth, cyber defence, big data analytics, critical infrastructure, and mobile security (connected car, connected plane) from different funding sources.